Will the 2030 dream become a reality? The auto industry in India is preparing itself for a slew of changes in order to cut down the crude oil import bill and reduce pollution. 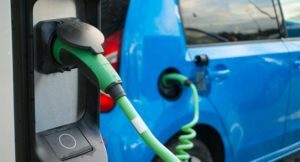 After its commitment to reduce greenhouse gas emissions under the global agreement on climate change, and to reduce spending on oil imports, which, according to one estimate, could double to an annual USD 300 billion by 2030, the NDA government in 2016 announced that India will be having 100 pc Electric Vehicles (EVs) on Indian roads by 2030. This target was brought down to 30 pc in March this year. The auto industry in India is preparing itself for a slew of changes in order to cut down the crude oil import bill and reduce pollution. EVs are growing in popularity as they are cleaner and more efficient. In order to give it a push the Goods and Services Tax (GST) council reduced the cost of electric car battery from existing 28 pc to 18 pc, whereas EVs fall under the 12 pc tax slab. The National Institution for Transforming India (NITI Aayog) organised the Global Mobility Summit ‘MOVE’ earlier this month that was inaugurated by Indian Prime Minister Narendra Modi. With an aim to boost e-mobility drive in India PM Modi hinted at a fresh policy on EVs and alternate fuels to come out soon. More than 25 million vehicles, including passenger vehicles, commercial vehicles, three wheelers and two-wheelers were produced in FY17. Electronic vehicles operate within broader energy and transportation ecosystems. Therefore, India needs to figure out whether it has enough resources and alternatives to make the dream of EVs a reality. In order to boost the production of EVs in India, the country needs to focus on increasing the local battery production. India is way behind US and China in terms of production capabilities and volumes in battery production. The unavailability of raw materials and full dependence on imports are ruining the possibility of building a competitive local market in India. Lithium and cobalt are two critical elements in batteries that power electric vehicles. According to a NITI Aayog report titled ‘India’s Energy Storage Mission’, India does not have reserves of some of the most important Li-ion components including lithium, cobalt and nickel, and the copper used in conductors, cables and bus bars. India imports lithium reserves to provide the raw materials for its local battery manufacturing ecosystem. China on the other hand is rapidly capturing Li-ion battery production. The Indian government has sought reworking of a proposal to offer incentives of as much as USD 759 million for electric cars as it wants to use most of the funds to encourage local manufacturing of lithium-ion batteries, which form the core of such vehicles. Also it has directed three state-owned mineral companies to team up for the task. “The joint venture partners are National Aluminium Company (Nalco), Hindustan Copper (HCL) and Mineral Exploration Corp. Ltd (MECL),” said Anil Kumar Nayak, joint secretary in the mines ministry. India’s requirement of lithium is expected to be 350,000 tonnes per year according to auto industry estimates, with companies like Suzuki India planning to manufacture lithium-ion batteries in India. According to a recent report by EY, India must assess its needs against the supply of critical minerals and take it up as a part of its strategic growth agenda. The critical minerals or as EY refers to them, “new world” commodities are central to the production of a variety of high tech and green technologies ranging from batteries, smartphones and laptops to advanced defence systems. However, lack of secured supply chain would substantially restrict the growth of the ‘new world’ industries, the report says. Accelerated adoption of electric and shared vehicles could save USD 60 billion in diesel and petrol costs while cutting down as much as one gigatonne of carbon emissions for India by 2030, says a joint report by NITI Aayog and Rock Mountain Institute released on September 12. The report estimates that India can conservatively save up to 64 pc of anticipated passenger mobilitity-related energy demand and 37 pc of carbon emission by 2030. “By 2030, this would result in an annual diesel and petrol reduction of 156 million tonnes of oil equivalent,” said the report, titled ‘India Leaps Ahead: Transformative Mobility Solution’. Since the car penetration in India is low, it offers a unique opportunity to come up with a sustainable solution which can be emulated by others. According to executives and recruitment companies the Indian auto industry faces a talent crunch as there aren’t enough engineers with expertise in the field of EVs. Current demand is pegged at more than 5,000 engineers – mostly in the electric, electronic and mechanical disciplines – which is likely to touch 15,000 over the next two years or so, according to staffing company TeamLease. About 1,000 engineers are employed by the auto industry in India for EVs and EV-related work. In April, the government had extended the phase 1 of the FAME India (Faster Adoption and Manufacturing of Hybrid and Electric vehicles in India) scheme by six months till September-end or till its second phase is approved. FAME aims to support development of a market and a manufacturing eco-system for hybrid/electric vehicles by focusing on technology development, demand creation, pilot projects, and charging infrastructure. Indian space agency ISRO too has announced to transfer its own lithium ion cell technology to Indian industry on a non-exclusive basis for usage in automobiles for INR 10 million. In a statement issued in June this year, the Indian Space Research Organisation (ISRO) said the initiative will accelerate the development of indigenous electric vehicle industry. One of the biggest disadvantages EVs have is their limited range, as they can run for a fixed distance on a single charge. Without adequate charging infrastructure, auto makers will not have the incentive to manufacture EVs. The government has proposed to set up charging stations for electric vehicles every three kilometres in cities with million-plus population and smart cities, and every 50 km on busy national highways. According to a Bloomberg New Energy Finance report, India currently has about 350 charging points, while China had about 215,000 installed at the end of 2016.